So you say you had a rough day. After months of training and careful preparation, the marathon you were targeting went poorly. Perhaps it was the weather; maybe you made some mistakes with your fueling or you just had one of "those" days. Whatever the reason, you find yourself with your tail slightly between your legs, wondering where to go and how to proceed. The standard procedure for most runners and their coaches after any marathon—good or bad—is to rest and avoid racing. For the more motivated, an unconventional alternative might be to tackle another marathon in the next 5 to 6 weeks. For most runners, the thought of another marathon immediately after a rough one is about as appealing as a vacation in Baghdad. 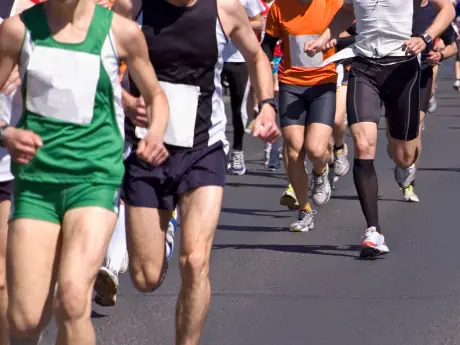 However, if approached the right way, the fitness and experience gained training for and racing in the first marathon can be beneficial in the second. If this uncommon approach is something you're interested in pursuing or learning more about, then follow along. Following your first marathon, it's critical that you take the time to recover as effectively as possible in a short-time window. While taking the more "active" recovery approach with another marathon on the horizon, rest is nevertheless the key goal for the first 9 to 10 days. Each runner has different recovery needs. However, you won't lose any fitness in the first 9 to 10 days after a marathon. The overwhelming majority of marathoners actually see a significant fitness boost as a result of racing the initial marathon—regardless of the outcome. My recommendation for the first 10 days is a standard "active rest" cycle, alternating off days with days of 35 to 45 minutes of relaxed easy running, followed by a day of complete rest. For those compulsive folks who struggle with days completely off, try a long walk on the "off" days. After the initial 10 days of getting your legs back under you, take an additional 4 to 5 days of simple aerobic mileage with some post-run accelerations every other day. Accelerations (aka strides, striders, zips) after an easy run are an excellent way to maintain and improve biomechanical efficiency and work on prime mover muscle recruitment. Additionally, post-run accelerations used in transition serve as an effective recovery tool.